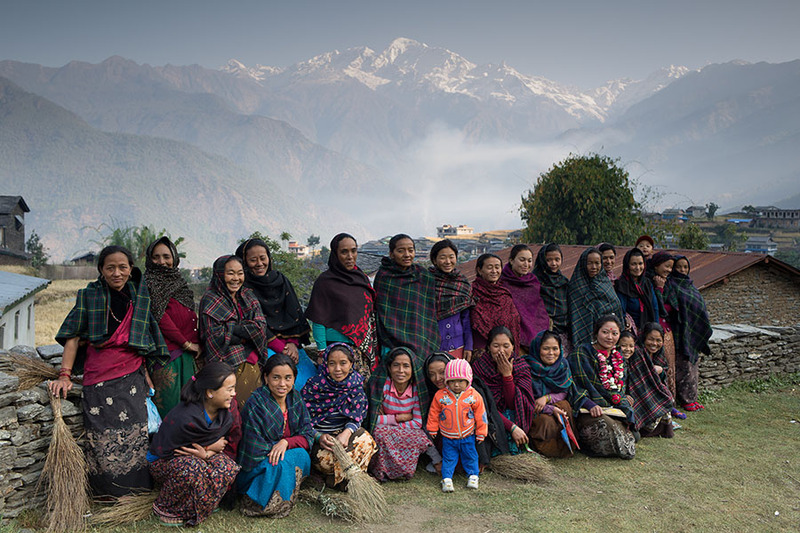 Members of a Community Learning and Action Center (CLAC) at Barpak of Gorkha smile for a group picture before they start their cleanliness campaign in the village. “When I first visited the community I was supposed to work with, almost everyone ignored me. It was only when I spent a long time interacting and coordinating with community members that they realized we could collaborate for their benefit,” says Pushpa Kunwar Bhandari, a Local Resource Person (LRP) from Bhimdatta Municipality of Kanchanpur district in western Nepal. Bhandari is one of more than 200 such LRPs in Hariyo Ban Program who have been specially appointed to mobilize community members in biodiversity conservation, climate change adaptation, good governance, and gender and social inclusion (GESI). As social mobilizers, one of the first tasks carried out by an LRP is to establish a Community Learning and Action Center (CLAC) in the community. This is an informal platform for the most disadvantaged members of the community, predominantly women. The group meets once every week, and under the guidance of the LRP, members discuss issues related to their every-day challenges, learn about their rights as community forest users, and talk about the importance and practice of good governance. The group also covers other topics including biodiversity conservation and climate change impacts and adaptation. 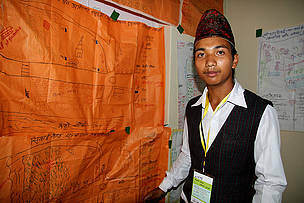 One of those supportive men is 21 year old Santosh Pariyar from Ruchang in Nawalparasi district. Pariyar, who ran a CLAC for 25 women in the locality, is astounded at the changes in the women. “The members were mostly older than me, and also quite passive when we started out. It was an arduous task to even get them to speak up. However, by the end of the CLAC sessions they were eager to interact and communicate. This confidence and ability to speak up for themselves in any group is the major achievement of a CLAC.” Sangita Lamichhane, a 19-year-old LRP from Syangja, also believes that women start taking an interest in the outer world once they discover their own strengths. “Thanks to the CLAC classes, community members started discussing the community forest regulations, and now the women know more about the regulations than me,” she laughs. This new-found confidence has led the women to believe that they are as capable as men in leading the CFUG. Eighty-five percent of the executive committee members of Thado Pakho CFUG, to which Lamichhane belongs, are now women. Local Resource Person (LRP) Pushpa Kunwar Bhandari (right) explains about the accomplishments of her CLAC while another LRP Laxmi Saud looks on. Bishnu Thapa, an LRP from Rajapur-6, Bardia, hands over a traditional mat woven by the members of her CLAC to Lex Kassenberg, Country Director of CARE Nepal. Santosh Pariyar, an LRP from Nawalparasi, displaying the accomplishments of his locality. Young LRP Sangita Lamichhane laughs out loud as she talks about the changes brought about in her community.